The 5 Days version of the Classic Inca Trail really gives you the opportunity to take in all the sights and experiences of the Inca Trail at your leisure. Staying at campsites that few people use you get to enjoy the beautiful views of the mountains and see the sunsets and sunrises in peace and tranquility. Trekking the Inca Trail is one of those things that everyone should do once in their life and the 5 day version allows you to enjoy it to the full. If you think you’ve done it all? you shouldn’t miss the ancient Inca Trail! 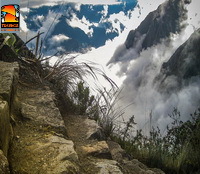 Location: Inca trail Machu Picchu runs 45km of distance through the Peruvian Andes and the cloud forest which is an extraordinary habitat for thousands of wild animals some of them in dangerous of extinction. The last day we will explore the Inca citadel of Machu Picchu. This 5-day program is an excellent alternative to avoid most of the crowds found on the 4-day classical route and to reach quieter, more distant and beautiful campsites. It is also recommended for families with children, as it allows a better acclimatization to altitude and the daily walking distance is lower than in the 4-day version. Today we pick you up from your hotel at 7am and travel by bus to Piskacucho (you will hear this be called kilometer 82) where the trail starts. On arrival at kilometre 82, it is necessary to show entrance tickets, passports and (if paying a student rate) student card. To start the inka trail (2720m/8923ft), we cross the Vilcanota River and follow it. This first day will be relatively easy. 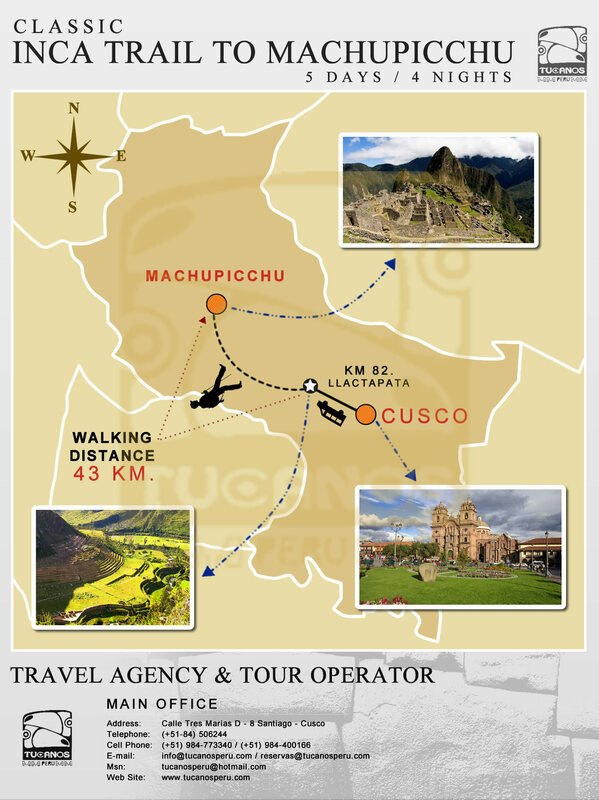 We will go to the Inca Fortress of Huillcaraccay from where we will have great views of the area. 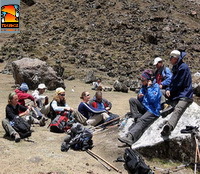 Then we will walk down to the last Inca site Llactapata sometimes called Patallacta where we will spend the night (2620m/8595ft). Today we will wake up at 7am and after breakfast we will start walking towards the village of Wayllabamba (3000m/9842ft). Here we will take a fork-off the 'beaten track' in order to see the beautiful and least-visited sight on the trail, the Inka fort of Paucarcancha. After seeing this we will walk back down to Wayllabamba village for lunch. We will finally take a 3-4 hour walk uphill (800m/2624ft) to reach our second campsite (3800m/12467ft) - 2 hours from Abra de Huarmihuañusca - Dead Woman's Pass'. Day 3 - Beautiful Views! This day will be our longest day as we will walk 16 kilometers and go over the 2 highest passes on the trail. After breakfast we will continue our walk uphill from the previous day to reach Abra de Huarmihuañusca - Dead Woman's Pass (4200m/13779ft), the highest point on the trail. After this, we will walk down to the valley where we will have lunch. This is followed by an ascent to the circular Inca fortress of Runkurakay and then to the second pass of the same name (4000m/13123ft). We will then begin our walk down to the campsite, visiting the lovely Inca site of Sayacmarca (High Rising Town) on the way. Our campsite (3680m/12073ft) is located an hour and a half walk from this site, on the third pass, Phuyupatamarka. Day 4 - Incredible Incas! Today will be the most extraordinary day of the trek. We will visit lots of Inca sites along the way; Phuyupatamarka, Intipata (Sun Site) and the most beautiful on the trail Wiñayhuayna (Forever Young). Finally we will see Machu Picchu! 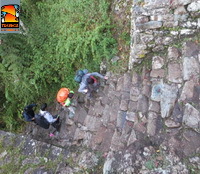 We will pass through the ancient Inca site before arriving at our campsite which is down in the valley of Machu Picchu. We will have an early night in order to prepare ourselves to properly explore the mysterious city next early morning. If desired, we can arrange hotel accommodation in Aguas Calientes (town near the campsite). You can also go the thermal springs in this town a real treat after finishing the trail. Day 5 - Sunrise at Machu Picchu! We will have breakfast at 5.45am then catch the first bus to Machu Picchu (25 minute ride) in order to appreciate the magnificent sunrise over the city. A walking tour (approximately 2 hours) will be given by your guide and after this you can explore the remarkable city by yourselves. 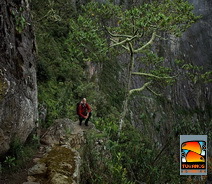 If you still have energy you can also climb Huaynapicchu (2720m/8923ft) It takes 45 minutes to reach the top. You will meet your guide in Aguas Calientes for lunch and also to be given your train tickets back to Cusco. Then we will arrive back in Cusco. Collection from your hotel in the morning of departure. Professional guide English/Spanish speaking (assistant guide for groups over 8 people). Meals as indicated in the itinerary (optional vegetarian food).